Back in the days, families mostly lived in large households with at least three generations under the roof. Today, grandparents usually live apart from their children and grandchildren and so visiting grandma and grandpa is a holiday: it’s a magical land that smells of freshly baked cookies and apple pie and where everything is allowed. However, children need to learn how to be empathetic and understand that there are times they have to put someone’s needs before theirs. Along with good intentions and pure hearts of grandparents, there are bad influences from peers and the outer world. There exist a risk that a child will become inconsiderate and spoiled. 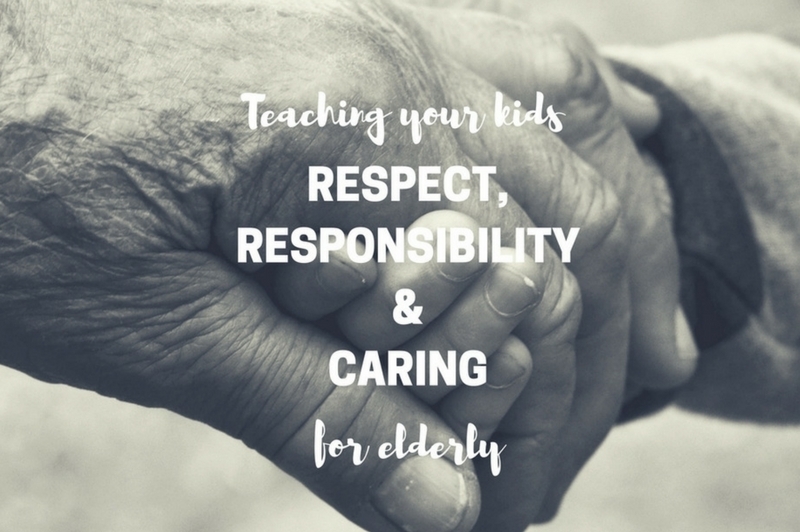 Here’s how you can set a solid foundation for your kids growing up into responsible adults that genuinely care and understand positions of elderly while nurturing respect for them. Kids are observational learners so you have to be extremely cautious about how you act when they are around. In their perspective, the way you treat others (especially your parents) is the pattern of desirable behavior. Unfortunately, kids are more prone to mirroring aggressive and negative behavior but if you create a positive environment – they won’t get the chance to pick up the bad habits. They are still forming and so you have to teach them the difference between right and wrong, not just by talking to them – but by practicing what you preach. The way you communicate with your parents or how willing you are to compromise when needed – all of it is processed by your children and so they act accordingly in their own personal relationship with grandma and grandpa. The phase of egocentrism is completely natural for preschoolers as they need time for cognitive development and learning about other people’s feelings or thinking. They are yet incapable to fully comprehend their position in the world, the position of others, and the relationships in between as they cannot simply abandon their perspective. 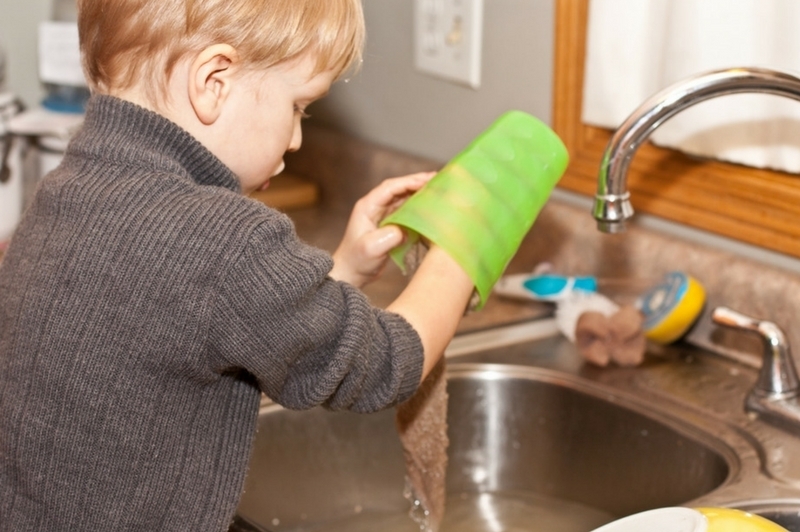 To support them in doing so, gradually introduce them to chores and help them realize they can make a difference. Encourage them to help in home care as they will also bond with their grandparents, make them clean their room or do simple chores like watering plants or fluffing the pillows. Most importantly – show appreciation for their work. If you react positively to their efforts, they will understand their actions are good. When they start doing more demanding work around the house, they will value what you do for them more. This is how you teach responsibility and empathy. Kids are curious by nature so they are prone to asking questions. The fact is, grandparents might seem as they are from another world to them and that their worlds don’t overlap in any way. Start by talking about your parents’ lives and your children will realize they have a lot more in common with them than they thought. When you spark an interest this way, your kids will surely want to know more about it from grandma and grandpa themselves. That is where the magic of storytelling kicks in. 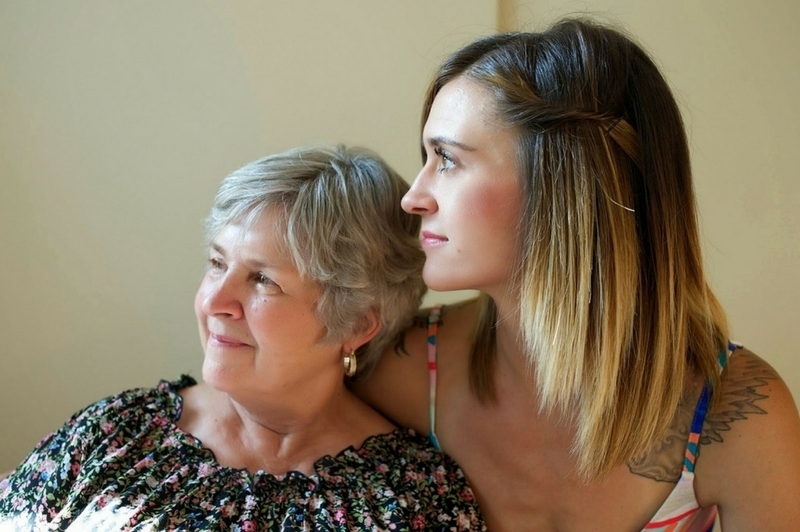 It is the greatest way for the two generations to bond: kids will build respect (and amazement) for their grandparents’ accomplishments from the past. They will gain a better understanding of their grandparents’ life paths which may trigger a new perspective and help them become more engaged and respectful. As adults, we tend to urge our kids to realize great truths about life, even though they have to do it in their own pace. All you can really do is arm them with love and good moral foundation, but they have to figure it out on their own. It helps if grandma and grandpa set some boundaries and try to teach them about great values and the importance of family. Building this relationship takes time, even though we sometimes want to rush it. Our adult perspective makes us aware of just how short life is but to kids – it feels as they will be forever young and never become grandparents on their own. Encourage frequent visits and let the communication follow its natural course. The moment you start forcing anything, your kids will start perceiving going to grandma and grandpa as an obligation. It can be challenging to bring up caring and respectful kids in today’s world. Follow these tips and have faith your child will find their way. Wonderful reminder. The most important point is that we lead by example. Thanks for reading. I agree with you completely. Great advice. I also think it is so good for grandchildren to be around their grandparents—-it’s a refreshing change and teaches love and respect at the same time. Sorry it has taken me so long to get back over here to leave a comment—-I was completely swallowed up by the holidays!! Your first point is such a good one! I recently began watching Gilmore Girls for the first time – I wanted to see what all the fuss was about. It’s okay, but what I do really enjoy is seeing is the developing relationship between the daughter and her grandparents. Everyone makes mistakes in their personal relationships but perseverance is the secret sauce. Zara, great post. I agree it is really important to incorporate Grand Parents into the lives of their grandchildren. To set a role model as an adult and parent on how you treat your parents, Lovingly ! Haralee recently posted…Doomsday Preparedness: Flood, Earthquake, Volcanic Eruption, Fire, and Zombie Apocalypse…. 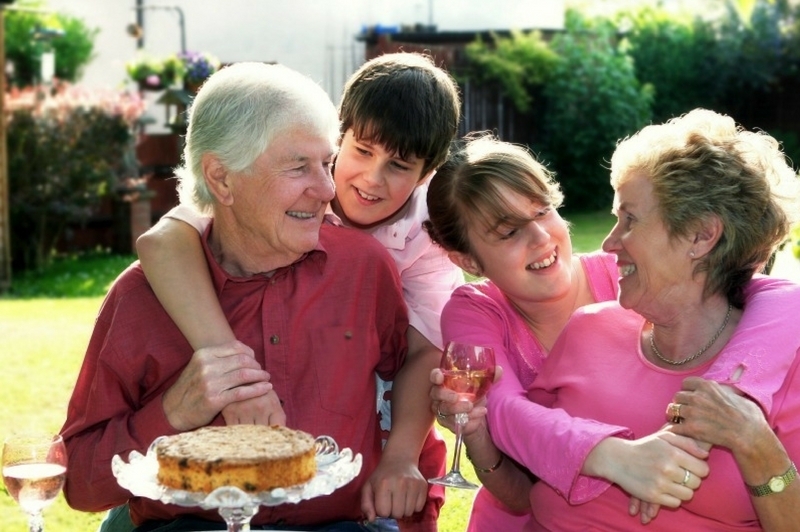 One of the main benefits of in-home support is that your loved one will remain in a familiar environment. Such a great read! There are a lot of differences between an elder and a child but this article showed us how we would help them embrace each other’s differences. Looking forward to reading more inspiration articles from you. Tips are great. But you know whats much cooler and safer? putting up a cctv system, and those big flood lights triggered by the motion sensors. Isn’t that great? Home health care professionals can ensure the right medications are being taken at the right times to control health conditions and prevent harmful drug interactions. Personal care might include help with eating, washing, dressing, going to the toilet or taking medication. The number one benefit of home health care is that it allows patients to receive personal care in the privacy and comfort of their own homes. For aging and homebound individuals, in-home care facilitates them in remaining as functional and independent as possible, providing a much higher sense of security and dignity. That’s what it’s supposed to be. Repay our elders sacrifices to us. Thanks for sharing this! Teaching our kids or other kids respect for the elderly especially if they are relatives is very important. Keep up the great work! That’s how it should be at the first place. By providing ongoing, consistent care, personal caregivers are able to help aging individuals continue living independently, comfortably and socially at home. A little extra support can be all that is needed to extend an older adult’s sense of independence in his or her own home, and this goes a long way toward improving their outlook on life and boosting self-confidence. Most aging individuals are comforted by being in familiar surroundings where they have spent much of their life, and a professional caregiver can help them stay there longer than they would be able to on their own. Many seniors today prefer to live at home. In addition to feeling independent, seniors appreciate familiar surroundings. A senior should not have to give up the house or apartment she loves, her personal possessions or her pets. Home care can help her stay connected to everything she cares about. She can be happy and comfortable during her elderly years. There are several ways that home improvement projects, particularly those involving exterior home remodeling, can save you money on your energy bill. Replacement windows and new siding can better insulate your home, allowing thermal energy to redistribute more easily. Glass coating on replacement windows can cut down on the amount of solar heat that beams into your home through the glass. That should be mandatory! A lot of kids nowadays have no respect on the elders. Home care company you choose to take care of your elders have reasonable rates and simple pricing models that do not involve the use of monthly or annual contracts. Home care helps you to stay independent by assisting in those areas you need a little bit of help. A care worker may only come to your home to help you get dressed or to take you shopping. This is great teaching kids the responsibilities at the right age is necessary. our main purpose should be that we should raise our child as a good human being, very nice article, I appreciate, thanks.